Last weekend I spent a cold Saturday at the opening of Emerging, the latest and greatest photography exhibit that unveiled at The Annenberg Space for Photography. Take your time as you enjoy this small space of images for free at one of LA’s many Annenberg public spaces. More than 90 Emerging photographers from around the world bring a fresh perspective with their creative techniques to professional photography. Organized in partnership with Photo District News (PDN), the award winning publication for professional photographers, the Space is showcasing works from photographers who have been featured in “PDN’s 30,” their annual selection of 30 up-and-coming artists who represent a range of styles and genres and have demonstrated a distinctive vision, creativity, and versatility. The exhibition explores how a new generation of photographers examines a variety of topics, from the personal to the global. The images, representing every genre of photography, are organized into nine sections, representing themes and concerns captured by “PDN’s 30,” such as Style, Nature & The Environment, Capture Vs. Perception, and Public & Private Selves. There is a fun video segment to view and interactive screens where you can sit and peruse more artist’s photography. I find myself wanting to be moved by photography or see something that is shocking or even shockingly beautiful in a new way, and today with our assault of images on Facebook, Instagram, and the Internet, it probably takes a lot more to ‘Move Me’ than ever before. Photographer Theron Humphrey captures his dog in the most marvelous settings. On view at the Annenberg Space for Photography. 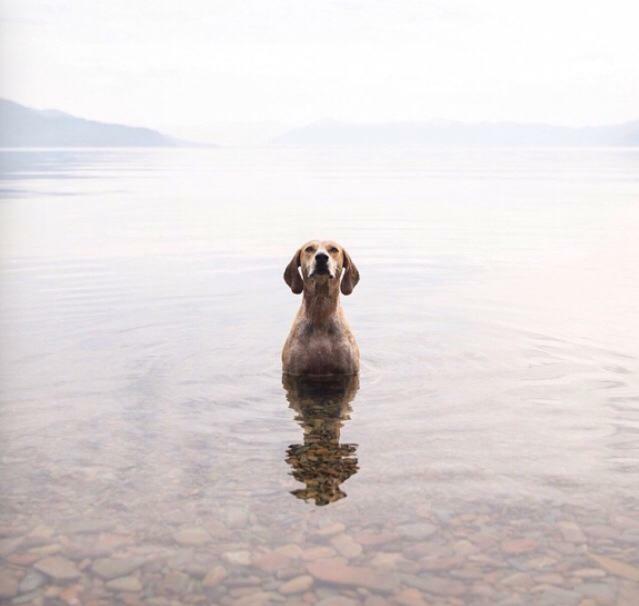 One of my favorite photographs in this exhibit comes from someone I follow on Instagram – Theron Humphrey of Thiswildidea.com because his photos capture his dog in unexpected ways. The photographer’s scenes move me so much I often just stop and stare at them for quite some time because I find them so sweet, so funny, and so freeing. Instagram success launched him into many high end photography campaigns for big brands. He started by driving across the US capturing American life with his dog, often camping. You can find this image at the show. After many years of perusing The Annenberg Space for Photography, I had no idea just around the corner is Skylight Studios. The Emerging Experience opened June 6. The multimedia installation, which includes a Gravity Room, is a playful and engaging experience that merges fantasy and reality. You can take funny photos as if you are suspended in air. Imagery will focus on three different themes: Taste (June 6 – July 12), Sound (July 13 – August 16) and Style (August 17 – September 20). Work by artists who are challenging photographic boundaries and embracing new social media movements will be featured. 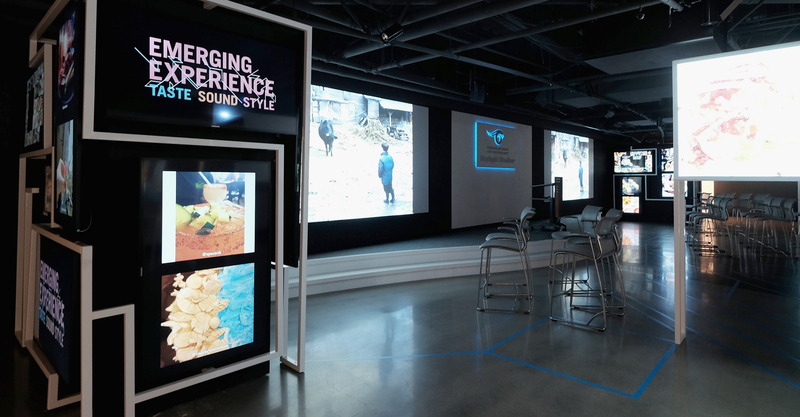 Emerging Experience celebrates the latest talents and trends, as well as crowd-sourced digital content. Emerging Experience kicks off with an exploration of Taste. You can even hashtag one of your food photos with #EmergingExperience and it may appear in this space on one of their moving screens. 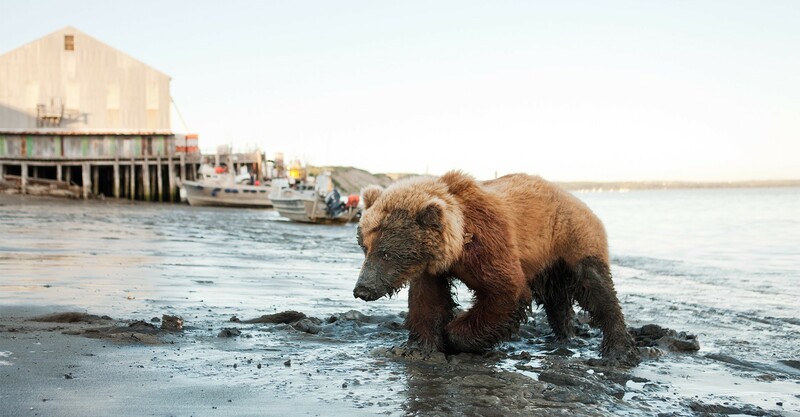 Saturday, June 13 (2-4pm) – Renowned LA-based chefs Dan Mattern and Roxana Jullapat discuss the making of their new cookbook “The Cooks Almanac” along with photographer Noé Montes. Saturday, June 13 (6-8pm) – Chefs Dan Mattern and Roxana Jullapat cook up a small plates-style tasting menu featuring dishes from their upcoming cookbook (for VIP ticket holders). Sunday, June 14 (11am-1pm) – Photographer and food stylist Julie Lee leads a workshop on transforming pictures with a crash course in mobile food photography using the signature summer sandwich you create. Sunday, June 20 (3:30-6pm) – “Manhattan Project” Mixology Class with The Cocktail Lab. Wednesday, June 24 – DinnerLab hosts a pop-up dinner for their members following a private viewing of the Emerging exhibit at the Annenberg Space for Photography. Saturday, June 27 (10am-4pm) and Sunday, June 28 (2:30-5:30pm) – Photographer Gerd Ludwig hosts two days of events related to his July 2015 National Geographic article documenting Los Angeles-area food trucks. On Saturday, Ludwig will lead an advanced photography workshop, and then on Sunday he will offer a beginners’ photography workshop following a food truck panel and tasting. Emerging Experience officially opens on June 6 and will run through September 20, 2015. Artists and events for the next themes, Sound and Style, will be announced at a later date. For more information including times, registration fees and registration information, please visit annenbergphotospace.org/events. Thursday nights offer interesting free guest lectures called Iris Nights Lecture Series and soon there will be free summer concerts with KCRW.